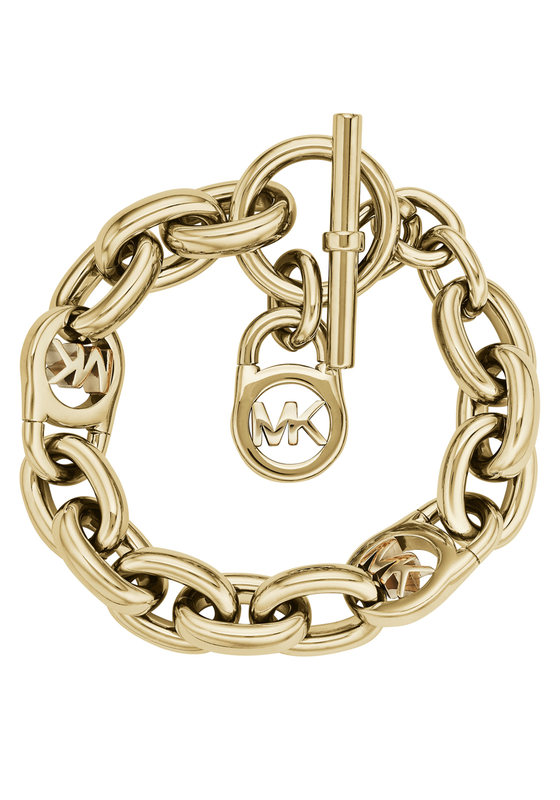 Add a touch of chic to your outfit with this stunning gold plated chain link bracelet from Michael Kors. Featuring a signature MK logo padlock detail and a toggle close. The perfect piece that can be worn with party wear to jeans and a t-shirt.